Braid hair is a hairstyle woven from bundled hair. 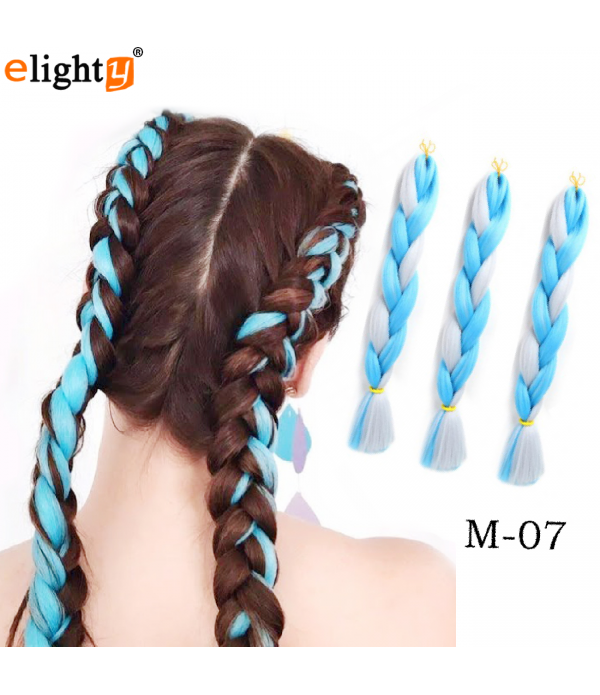 If you have the bad hair blues, then braids may be for you because they are a great protective hairstyle.There are so many braid styles that you can create, it’s always have that exclusive braid style. 1. 5Pcs/Lot 100g/Pc 24" (60CM) Color: 39 colors optional.2. Hair Material:Top Quality High Temperature Kanekalon Synthetic Fiber, Comfortable Wear3. Premium Quality: No Shedding, No Smell, Smooth, Soft, Fluffy and Durable4. 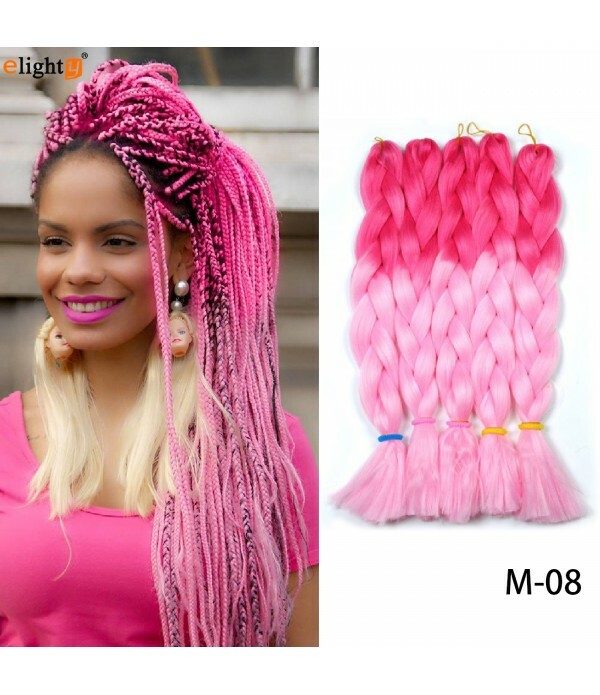 Hair Advantage: Do Not Fade, Easy to Crochet, Braid and Twist, Ca..
1.Length: 24 inch, Weight:100 G/Pack, Package: 5 packs/lot.2.Color: 24 colors optional,as shown in the picture.3.Material: High Temperature Kanekalon Synthetic Fiber Hair, Ombre Braiding Hair.4.Advantage: Smooth, No smell, Normal Yaki and Easy to Crochet, Braid and Twist, Comfortable wear.5.Quality:..
1.Length: 24 inch Weight: 100g/Pack. 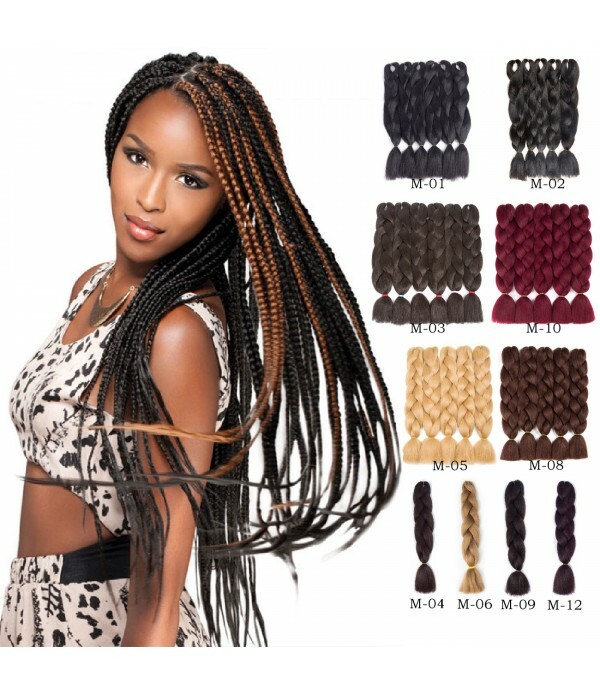 Package: 3 packs/lot.2.Material: High Temperature Kanekalon Synthetic Fiber Hair, Ombre Braiding Hair3.Advantage:Smooth,No smell Normal Yaki and Easy to Crochet, Braid and Twist,Comfortable wear4.Quality: Factory Direct, High quality.5.Usage: Colors Availab.. Length: Approx 24 Inch";Weight: 100g±5g, Color: 32 colors optional, As shown in the picture.Material: PREMIUM QUALITY- 100% Kanekalon Hair, Jumbo Box Braids.Package: 5Pcs/Lot.Feature: No Shedding or fading Colors. 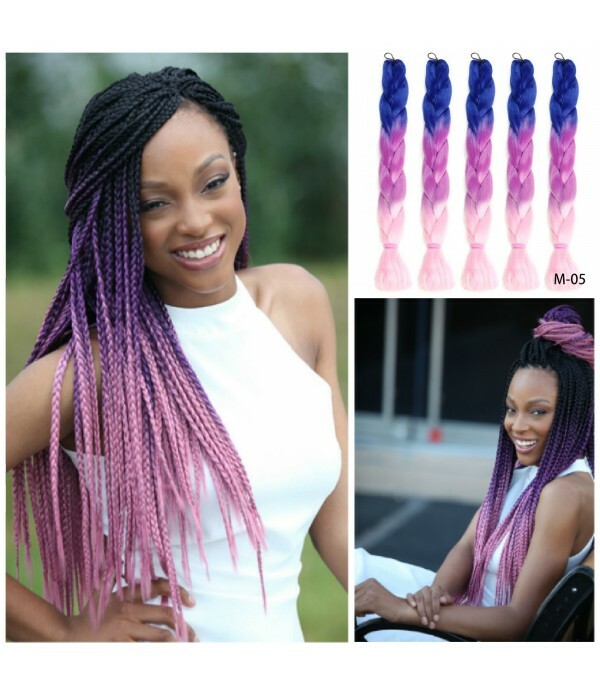 Heat Resistant, can do any model such as crochet twist, and can d..